My research focuses on the wider social context and social consequences of language use and is inspired mostly by critical sociolinguistics and critical discourse studies. I currently work on public service interpreting (community interpreting) and legal interpreting with a particular emphasis on language ideologies and the interplay between spoken and written language in lingua-franca interpreting. At the same time, I continue my previous research on the translation of sociolinguistic variation in the novel. I am also redeveloping an old interest in hate speech and freedom of speech, including the notion of performativity. I am an Assistant Professor of Translation Studies at the Language Department of the University of Helsinki. I have also held positions at the University of Jyväskylä, the University of Eastern Finland, and the University of Tampere. I received my Ph.D. in 2004 from the University of California, Berkeley. In my dissertation, I analyzed language ideologies in EU and French legal texts about regional or minority languages. In addition to my academic work, I work as a freelance translator and public service and legal interpreter. M.A., University of Helsinki, French and Spanish Philology, 1997. Forthcoming 2019, accepted. Training Translators and Interpreters for a Digitised and Globalised World: Wikipedia, Lingua Francas, and Critical Thinking. In Dal Fovo, E. & Gentile, P. (eds. ), Convergence, Contact and Interaction in Translation and Interpreting Studies. Frankfurt: Peter Lang. 2019, first author Léa Huotari. Changement de sujet, empathie et changement de point de vue : étude de cas en traduction littéraire. In Määttä, S. Buchart, M. & Djupsjö, A. (eds. ), Sources du savoir, sources de l’information, sources de l’énonciation. Mémoires de la Société Néophilologique de Helsinki, tome CIV. Helsinki: Société néophilologique, 55‒72. 2019, second author Mari Wiklund. Réparations conversationnelles dans un entretien d’asile interprété par téléphone. Langage et société 166, 161‒183. 2018 Accuracy in Telephone Interpreting: The Case of French as a Lingua Franca in Finland. The Interpreters' Newsletter 23. (Ed. Riccardi, A. & Kellett, C.J.). 2018 Empatia ja asenne lingua franca -tulkkauksessa: puhelintulkatun kuulustelun analyysia (‘Empathy and stance in lingua franca interpreting: analyzing a telephone-interpreted interview’). In Koskinen, K., Vuori, J. & Leminen, A.-K. (ed. ), Asioimistulkkaus – Monikielisen yhteiskunnan arkea (‘Community Interpreting – everyday life in a multilingual society’). Tampere: Vastapaino, 97‒120. 2017 English as a Lingua Franca in Telephone Interpreting: Representations and Linguistic Justice. The Interpreters’ Newsletter 22. (Special Issue on Corpus-based Dialogue Interpreting Studies; ed. Bendazzoli, C.), 39‒56. 2017 Community Interpreters in Finland: A Nexus Analysis of a Heterogeneous Community Divided by Ethnicity. In Taivalkoski-Shilov, K., Tiittula L., and Koponen, M. (eds. ), Communities in Translation and Interpreting. Montréal: Éditions québécoises de l’œuvre, 183–216. 2016 Authenticity, Boundaries, and Hybridity: Translating “Migrant and Minority Literature” from Swedish into Finnish. International Journal of Literary Linguistics 5:3. (Special Issue: Current Issues in the Linguistic Analysis of Literary Translation; ed. Kolehmainen, L., Penttilä E., and van Poucke, P.). (31 p.). 2015 Interpreting the Discourse of Reporting: The Case of Police and Asylum Interviews in Finland. Translation & Interpreting 7:3 (Special Issue: Community Interpreting; ed. Remael, A. & Carroll, M.), 21–35. 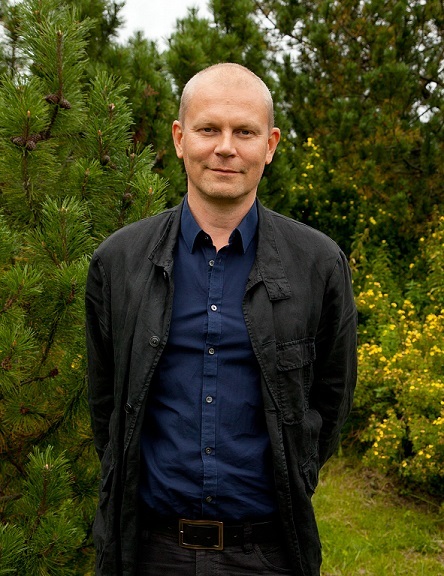 2014, co-author Sari Pietikäinen. Ideology. In Östman, J.-O. and Verschueren, J. (eds. ), Handbook of Pragmatics Online. Amsterdam: John Benjamins. (23 p.). 2014 Interprétariat juridique en Finlande et autorité en matière de langage : savoir linguistique et pouvoir discursif. In Les dossiers d'HEL (Histoire, épistémologie, langage) : « Linguistiques d'intervention. Les usages socio-politiques des savoirs sur le langage et les langues ». (10 p.). 2008 Langues et identité européenne ou « locuteur idéal » trilingue. In Martinez, P., Moore, D., and Spaëth, V. (eds. ), Plurilinguismes et enseignement : Identités en construction. Paris: Riveneuve, 91–100. 2007 The Foundations of Europe: A Critical Discourse Analysis of the EU Constitution. Critical Approaches to Discourse Analysis across Disciplines 1:1, 166–178. 2006 Principles, Rules, and European Identity: Regional or Minority Language in EU Law. In Savickiené, I. (ed. ), Language, Diversity, and Integration in the Enlarged EU: Challenges and Opportunities. Kaunas: Vytautas Magnus University, 23–32. 2005 The European Charter for Regional or Minority Languages, French Language Laws, and National Identity. Language Policy 4:2, 167–186. 2004 Dialect and Point of View: The Ideology of Translation in The Sound and the Fury in French. Target – International Journal of Translation Studies 16:2, 319–339. 2004 The European Union and the Promotion of Regional or Minority Languages: Ideologies of Language in EC Law and EU Language Policies. In Pütz et al. (eds. ), Communicating Ideologies: Language, Discourse, and Social Practice. Frankfurt: Peter Lang, 253–272. 2019, second author Riitta Ylikomi, third author Eeva Puumala. Asioimis- ja oikeustulkkauksen psyykkinen hinta: sijaistraumatisoitumisen ehkäisy kuormittavissa tulkkaustilanteissa. ('The psychological price of community and legal interpreting - Prevention of vicarious traumatization in psychologically stressful interpreting situations'). MikaEL – Kääntämisen ja tulkkauksen tutkimuksen symposiumin verkkojulkaisu 12: 195‒209 (‘Electronic proceedings of the KäTu symposium on translation and interpreting’). (15 p.). 2019 Sources du savoir, sources de l'information, sources de l'énonciation: introduction. In Määttä, S. Buchart, M. & Djupsjö, A. (eds. ), Sources du savoir, sources de l’information, sources de l’énonciation. Mémoires de la Société Néophilologique de Helsinki, tome CIV. Helsinki: Société néophilologique, v–vii. 2018, first author Eeva Puumala, 3rd author Riitta Ylikomi, 4th author Hanna-Leena Ristimäki. Turvapaikka puheena: mistä kuulusteluissa ja puhutteluissa on kyse (‘Speaking of asylum: what are screening interviews and asylum interviews about’). Alusta! 26.6.2018 (6 p.). 2014 Discourse and Ideology: Why Do We Need Both? In Callahan, L. (ed. ), Spanish and Portuguese across Time, Place, and Borders. Essays in Honor of Milton M. Azevedo. New York: MacMillan, 63–77. 2014, co-authors Tuija Kinnunen and Veera Rautavuoma. Asioimistulkkauksen toimijuudet(‘Forms of agency in community interpreting’). MikaEL – Kääntämisen ja tulkkauksen tutkimuksen symposiumin verkkojulkaisu 8 (‘Electronic proceedings of the KäTu symposium on translation and interpreting’). (15 p.). 2015 Sanan expérience suomentamisesta – Klinikan synty käännöskokemuksena (’On translating the word expérience – The Birth of the Clinic as a translation experience’). niin & näin – filosofinen aikakauslehti 3/2015 (4 p.). Long version: http://netn.fi/node/5842 (7 p.). 2014 Public Service Interpreting with Male Survivors and Alleged Perpetrators of Sexual Violence. In Valero-Garcés, C. (ed. ), (Re)considerando ética e ideología en situaciones de conflicto – (Re)visiting Ethics and Ideology in Situations of Conflict. Alcalá de Henares: Universidad de Alcalá, 58–64. 2013 Vihapuhe ja sananvapaus (‘Hate speech and freedom of speech’). Kielikuvia 2/2013, 4–15. 2013 Cioran – itsetuhosta itseilmaisuun (‘Cioran – from self-destruction to self-expression’). In Nummelin, J. (ed. ), Misantropian historia (‘History of misanthropy’). Turku: Savukeidas, 140–163. 2011 Kieli-ideologiat ja oikeustulkkauksen laatu (‘Language ideologies and the quality of court interpreting’). MikaEL – Kääntämisen ja tulkkauksen symposiumin verkkojulkaisu 5 (‘Electronic proceedings of the KäTu symposium on translation and interpreting’). (14 p.). 2017, short story. Another Chance. In In More Words: The Interpreters’ Story, vol. 2. Costa, B. (ed.). Reading, UK: Mothertongue(3 p.). 2017, opinion piece. Tulkkien pitäisi saada valmistautua turvapaikkapuhutteluihin huolella (‘Interpreters should be able to prepare for asylum interviews carefully’). Helsingin Sanomat, June 2, 2017 (>1 p.). 2012, opinion piece. Miksi asioimistulkkausta pitäisi tutkia? (‘Why do research on community interpreting’). Kääntäjä 3/2012 (>1 p.). 5/2019 Vuorovaikutus oikeustulkkauksessa ('Interaction in court interpreting'). Oikeustulkkauksen yhteistyöseminaari (cooperation seminar on court interpreting'). Finnish National Agency for Education, Helsinki. 4/2019 Disourse of Authenticity: Translating "Migrant and Minority Literature". Literature and Migration – Littérature et migration, journée d'étude bilingue. Univ. of Helsinki. 2/2019 Quality of Interpreting in Legal Settings: Invisible Multilingualism, Intermodal Translation, and Multimodality. Language and the Law: Engaging with the Field. Univ. of Jyväskylä. 10/2018, keynote. Language Rights and the Asylum Process: The Role of Interpreting Studies. First International Conference on Cross-Linguistic and Cross-Cultural Communication for Asylum Seekers and Refugees, Univ. Pablo de Olavide, Seville. 9/2018, keynote, co-authors Eeva Puumala, Riitta Ylikomi & Hanna-Leena Ristimäki. Viestinnän haavoittuvuus turvapaikkapuhuttelussa: kielen, mielen ja tiedon näkökulma (‘Vulnerability of communication in asylum interviews: the perspective of language, mind, and knowledge’).Kansainvälinen kääntäjienpäivä (‘International Translation Day’), Finnish Association of Translators and Interpreters, Helsinki. 3/2017 Ethical Stress and the Interpreter’s Agency. Univ. de Málaga. 2/2017 Interpreting Empathy, Understanding Each Other, and Coordinating Discourse on the Phone. UPOrality2017, Univ. de Pablo Olavide, Seville. 6/2015 Language, Emotions, and the Interpreter's Agency: Interpreting Sexual Violence. Bilingual Therapist & Interpreter Forum, Univ. of London. 11/2019, colloquim organized with Katrijn Maryns and Mieke Vandenbroucke. Migration, Interpreting, and Vulnerability. InDialog 3 – Interpreter Practice, Research and Training: the Impact of Context. Univ. Antwerpen & KU Leuven. 9/2019, colloquium organized with Carmen Valero-Garcés and Claudia Angelli. Language Rights in Public Service Interpreting and Translation. 9th Conference of the European Society for Translation Studies, Univ. of Stellenbosch. 12/2018, seminar organized with Ulla Tuomarla, Samuel Vernet & Jaska Kammerer. Contre-discours (seminar of the DRAINE research group), Univ. of Helsinki. 9/2018, member of organizing committee. Language Rights: Issues and Good Practices, Uniw. Warszawski. 5/2018, main organizer of panel discussion. Language Rights, Asylum, and Human Trafficking. Language, Translation, and Migration, Univ. of Warwick. 4/2018, main organizer of workshop. Asioimis- ja oikeustulkkauksen psykologinen hinta (‘The psychological price of community and legal interpreting’). XVI KäTu Symposium on Translation and Interpreting Studies, Univ. of Turku. 3/2018, colloquium organized with Marika Criss. Intersections between Practices and Belief Systems: Critical Perspectives on Discourse and Ideology. AAAL Annual Convention, Chicago. 2/2018, seminar organized with Eva Havu and Ulla Tuomarla. Affect in Language, Univ. of Helsinki. 2/2017, seminar organized with Eva Havu. Source(s),Univ. of Helsinki. 5/2015, colloquium organized with Ulla Tuomarla and Meri Larjavaara. Kuinka aggression otetaan haltuun? (‘How is aggression appropriated?’). XLII Kielitieteen päivät (annual conference of the Linguistic Association of Finland), Univ. of Vaasa. 4/2015, organizer of panel discussion. Asioimistulkit – yhteisökö? (‘Community interpreters – a community?’). XIII KäTu Symposium on Translation and Interpreting Studies, Univ. of Helsinki. 6/2019, co-author Mari Wiklund. Linguistic and Interactional Features of Successful Communication between Children with Autism and Their Therapists. Atypical Interaction Conference, Univ. of Helsinki. 6/2019 Ethics, Affect, and Language Variation: Challenges to Artificial Intelligence in Community Interpreting. Critical Link 9 – Interpreting in the Age of AI, Tokyo. 5/2019 Constructing Gay and Homophobic Discourse in Literary Texts and Their Translations: Why Study a Word? Lavender Languages and Linguistics 26 Conference, Göteborgs Univ. 4/2019 Parisuhdeväkivalta, pakolaistausta ja tulkkauksen laatu: sosiaalityöntekijöiden, avustajien ja psykologien näkemyksiä tulkkauksesta ('Domesctic abuse, refugee background, and interpretation quality: social workers', counsels', and psychologists' view on interpreting'). XVII KäTu Symposium on Translation and Interpreting Studies, Univ. of Tampere. 11/2018, co-author Yrjö Lauranto. Puheen sujuvuuden ulottuvuuksia arkikeskustelussa ja tulkatussa institutionaalisessa keskustelussa (‘Aspects of speech fluency in everyday conversation and interpreted institutional conversation’). AFinLan syyssymposiumi (annual conference of the Finnish Association for Applied Linguistics), Univ. of Eastern Finland, Joensuu. 11/2018, co-author Eeva Sippola. Invisible Multilingualism, Language Statistics, and Public Service Interpreting: The Case of French and Spanish in Finland. II International Conference on Language and Migration, Univ. de Alcalá. 9/2018 Language Rights and Political Change: The Right to Sight Translation of Police Interview Records. Language Rights: Issues and Good Practices, Uniw. Warszawski. 9/2018 Lingua Francas in Public-service Interpreting: A Challenge to Interpreter Training. Nordic Seminar on Interpreter Training and Testing, DIAK University of Applied Sciences, Helsinki. 5/2018, co-author Ulla Tuomarla. Lexical Reiteration and Discursive Authority as Performative Techniques: Analyzing Hate Speech Online. Words that Kill Conference, American Univ. of Paris. 5/2018 Translating Child-protection Case Reports from Finnish into English, French, and Spanish: Accessibility and Accuracy. Language, Translation, and Migration, Univ. of Warwick. 4/2018, co-authors Eeva Puumala and Riitta Ylikomi. Trauma, toimijuus ja kielellinen tasa-arvo: näkökulmia turvapaikkapuhuttelujen tulkkaukseen (‘Trauma, agency, and linguistic justice: perspectives on interpreting asylum interviews’). XVI KäTu Symposium on Translation and Interpreting Studies, Univ. of Turku. 3/2018 Affective Stance, Discourse, and Ideology in Telephone-based Legal Interpreting. AAAL Annual Convention, Chicago. 10/2017 Boundaries, Agency, and Empathy in Healthcare Interpreter-mediated Communication. 3rd English for Healthcare Conference, Bern. 10/2017 Egalité linguistique et neutralité : interpréter par téléphone en français langue véhiculaire. Traducteurs et interprètes face aux défis sociaux et politiques : la neutralité en question, Univ. de la Sorbonne Nouvelle – Paris 3. 10/2017, co-author Tuija Kinnunen. Verbal and Non-verbal Communication in Lingua-franca Interpreting in the Courtroom. 3rd Int’l Conference on Interpreting Quality, Univ. de Granada. 8/2017 Community Interpreting as an Instrument of Linguistic Injustice. Language and Democracy, Univ. of Tampere. 8/2017, co-author Mari Wiklund. La fonction des signalisations de réparation ouverte dans un interrogatoire d’asile interprété par téléphone. XXe Congrès des romanistes scandinaves, Univ. i Bergen. 6/2017 ELF, Community Interpreting, and Linguistic Injustice. ELF and Changing English – 10th Anniversary Conference of English as a Lingua Franca, Univ. of Helsinki. 4/2017, co-author Tuija Kinnunen. Kielellinen ja kehollinen viestintä lingua franca -tulkkauksessa oikeussalissa (‘Verbal and bodily communication in lingua franca interpreting in the courtroom’). XV KäTu Symposium on Translation and Interpreting Studies, Univ. of Vaasa. 3/2017 Boundaries, Agency, and Empathy in Sensitive PSIT Contexts: Interpreter’s Perspective. In co-organized session on ethics and PSIT, 6th Int’l Conf. on Public Service Interpreting and Translating, Univ. de Alcalá. 2/2017, co-author Léa Huotari. Engagement et source(s) d’énonciation. Source(s), Univ. of Helsinki. Graduate Student Instructor, Dept. of French, Univ. of California, Berkeley. (8/2001 – 8/2002; 6/2003 – 5/2004; . 2013, translation. Michel Foucault. Klinikan synty (‘Birth of the clinic’). Tampere: Eurooppalaisen filosofian seura / niin & näin, 260 p. Original title: Naissance de la clinique (Paris: PUF, 1963). 2009, translation. Émile Cioran, Hajoamisen käsikirja (‘A short history of decay’). Tampere: Eurooppalaisen filosofian seura / niin & näin, 236 p. Original title: Précis de décomposition (Paris: Gallimard, 1949). Language combination: Finnish (native, A), French, English, and Spanish (fluent, B). Core expertise in translation: philosophy, law and public administration, social work, and medicine. Core expertise in interpreting: community interpreting and legal interpreting. Authorized Translator Diploma from Finnish into French (1995) and from French into Finnish (1994). Määttä, S. K., Ylikomi, R. & Puumala, E., 2019, In : MikaEL Kääntämisen ja tulkkauksen tutkimuksen symposiumin verkkojulkaisu. 12, p. 195-209 15 p.
Huotari, L. M. K. & Määttä, S. K., 2019, Sources du savoir, sources de l’information, sources de l’énonciation. Määttä, S., Buchart, M. & Djupsjö, A. (eds.). Helsinki: Société Néophilologique de Helsinki, p. 55-72 (Mémoires de la société néophilologique de Helsinki; vol. CIV). Constructing Gay and Homophobic Discourse in Literary Texts and Their Translations: Why Study a Word? Tuomarla, U., Määttä, S. K., Moïse, C., Vernet, S., Hugonnier, C., Rosier, L., Ascone, L., Baider, F., Bernard-Barbeau, G., Fracchiolla, B., Guellouz, M., Lorenzi-Bailly, N., Romain, C., Sini, L., Lehti, L. & Buchart, M.
Määttä, S. K., Tuomarla, U. & Moïse, C.